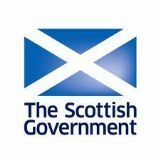 SOPA submitted comments on the Scottish Government's Fuel Poverty (Target, Definition and Strategy) (Scotland) Bill which is aimed at eradicating fuel poverty by improving the fuel efficiency of Scottish housing. We welcomed the objectives of the bill, as the unaffordable cost of heating is regularly raised by older people. However, against a background of hundreds of thousands of Scots living in fuel poverty and 35% of winter deaths being from cold and damp related lung conditions like flu and pneumonia we expressed our doubts that simply improving fuel efficiency would be an adequate solution.